A tear-away stabilizer for machine embroideries, from Vilene. 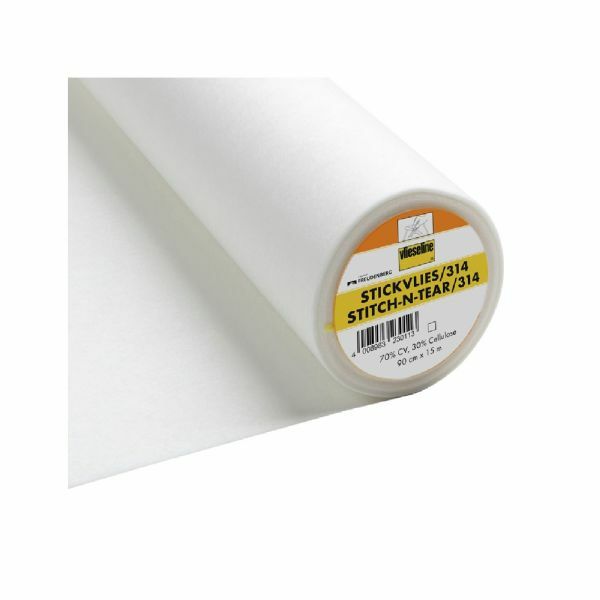 Recommended for use with medium to heavyweight fabrics and densely stitched embroidery designs. A temporary stabiliser that is easily torn away after your stitching is completed. Has a two way tear, so it can be torn away in either a horizontal or vertical direction. Should be removed carefully in order to not disturb the stitches of the design.